The ongoing health insurance cashless dispute in India has led the public sector health insurance companies design new health insurance products according to the paying ability of the consumers. According to A.V. Girija Kumar, director, National Insurance Company (NIC), ‘It is evolving towards designing policies based on the paying ability of the consumers.’ He told this to reporters on the sidelines of a seminar organized by the Indian Chamber of Commerce on alternate dispute resolution. The development had come after controversy over excess billing by private sector hospitals in cashless system. Kumar said: ‘Billing is much higher for those availing cashless facility than those who don’t.’ This has led to a situation for large claims ratio for the insurance companies, which was becoming unaffordable for the companies. ‘It is not that cash-less facility has been withdrawn, it is only some kind of restructuring that is taking place keeping in mind the larger interest of the consumers,’ Kumar said. 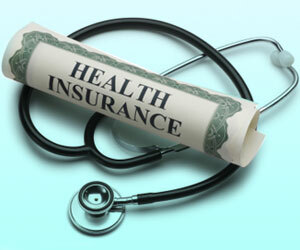 The public sector insurance companies are also searching avenues for setting up ailment-wise health insurance packages. ‘We are looking at whether a disease-wise limit could be taken up if possible separate products can be designed over a period of time. If somebody prefers expensive hospitals, he would necessarily have to have to bear a higher costs (of insurance policy),’ Kumar said. In National Insurance Company, health insurance claims last year were 108 percent – including individual and group mediclaim.